Believe it or not as a mother of two, sleep is still something I value. I will be honest and say that it obviously isn’t how it was prior to babies, I am not able to nap whenever I want to, but I definitely make sleep a priority. I’m grateful for the supports I’ve leaned on to help me feel as rested as possible at this stage of my life so I am better able to take care of myself, my babies and my family. I found for the first time ever, I needed help sleeping after I had Arrow. I would say this was definitely one of the hardest things I have dealt with. The difficulty sleeping was definitely attributed to the shift in hormones, the stresses I had that I wasn’t managing properly and being a new mom of two. To preface this, I am generally the type of human who has a healthy sleep routine naturally but who also manages to sleep through her home alarm/fire alarm going off in the middle of the night (thank heavens for my husband!). After Arrow was born, I was experiencing a mild form of postpartum insomnia which had to have been one of the most frustrating feelings I had ever experienced. I was completely exhausted, beyond hormonal, my newborn was sleeping all day and night and I was unable to sleep period. I quickly googled what this meant, when to contact a doctor and what I could do in the meantime; this is when I reached back to my oils (I was so sick during Arrow’s pregnancy I couldn’t use many oils for a while). Tim ran me a hot bath, added about 5 drops of Lavender and 5 drops of Peace + Calming, added Gentle Baby and Lavender to the diffuser, placed a couple on my temples and the back of my neck and told me I wasn’t allowed out until I was ready to sleep. First time in two days I actually closed my eyes and seconds later found myself asleep(while still in the bath). Technically I didn’t find myself, Tim did and had me go to bed. I’ll be the first to admit that I do not believe oils are going to cure the incurable and I do not think they are the solution to every problem; but I do believe oils help us mindfully navigate through these situations and support us with the healing properties that plants do offer. Supporting our mind, body and soul with all the amazing properties they have to offer. We know that having an overall healthier lifestyle can support us in having a healthy sleep routine as well. 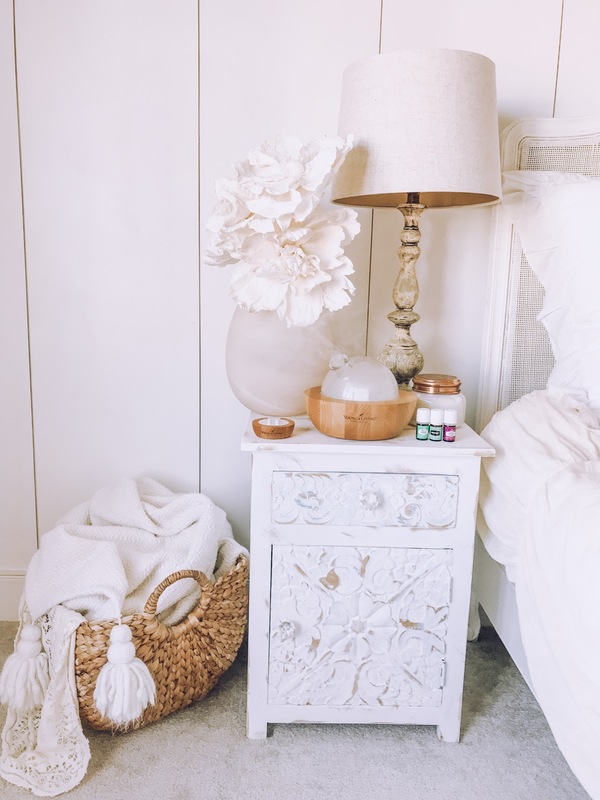 Oils are a huge support during our bedtime routine and we religiously use them to help us get as much rest as possible. I will do a whole post on our babies bedtime routine since this is a FAQ so make sure to submit your email so you never miss a post. Never use your phone/device right before bed. Even if you have the blue lens glasses (I DO!) I think it is so important to shut off from mindlessly scrolling and replace it with something that will fill your soul instead. A conversation with your partner, a good book or just some quiet time to meditate. We do not have a television in our room and we never have and I honestly swear by this. Go to bed earlier than you want to be sleeping. This gives you time to establish a healthy bedtime routine. Proper self care (face wash, toothbrushing etc) because nothing feels worse than being too exhausted to care for you. Getting there earlier also allows your mind to unwind and relax. Drink your favourite sleepy tea before bed. I love doing this and it is a huge part of my routine. It’s like coffee in the morning when I wake up. Taking the time to be mindful and have a routine are so powerful on their own but drinking a hot drink that has plant power to support sleep is even more impactful. Some favourites if I don’t have Sleepytime are lavender tea, lemon tea and camomile. No caffeine after three pm. This isn’t my favourite but it definitely is important. 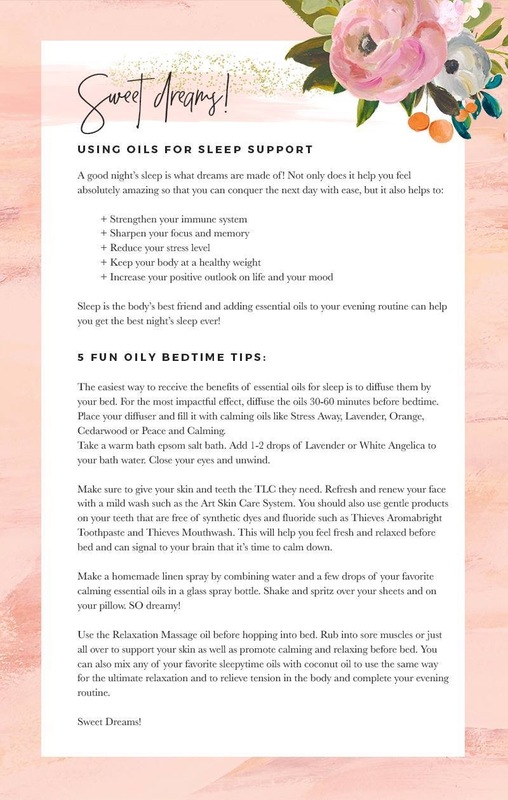 Incorporate oils into your nighttime routine. 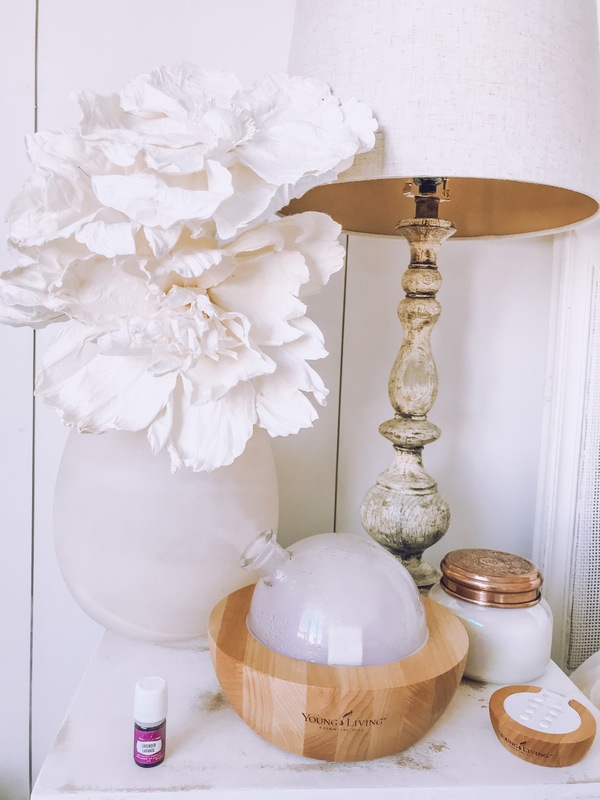 Make a linen spray, diffuse in your diffuser, add sleep support oils to your bath, make an essential oil Shea butter, add the oils directly to your temples, wrists and along your spine. You can see more of how I do all of the above on my oils account @thisdreamcatcherlife. Have a hot bath. I think for decades bath time has been incorporated into the bedtime routine of tiny babes because it helps everyone round down for the night in order to get a good nights rest–same goes or us adults too! Move more during the day. Get outside (when it isn’t hypothermic-ally cold), go to a hot yoga class, breath in the fresh outdoor air. The more you move during the day, the better you’ll rest during the night. Here is a list of the oils I highly recommend for sleep support. If you’ve never used oils before, are uncertain about where to get started or how to make a good decision about choosing which oils to buy then feel free to send me a direct message on my oils account ( @thisdreamcatcherlife ) and I can help you with any questions you have. I would be honoured to support you on this journey. Always talk to your doctor or health care provider before starting any new routine, if you’ve never used oils before or if you are nursing or pregnant.